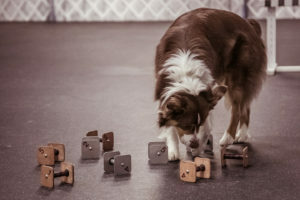 In this class you will learn how to teach your dog the skills needed to perform all the Utility exercises…all while having fun with lots of play and motivational games. These are progressive classes that run in 6 week sessions. Instructor’s approval required.